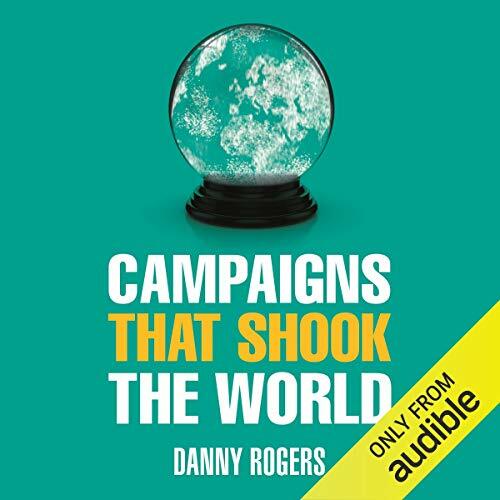 Campaigns that Shook the World provides the inside story on a selection of the greatest campaigns of the past four decades, while narrating the development of the PR and communications business. The book provides the definitive case studies of nine campaigns - political, corporate and entertainment - from the 1970s to the present day. It explains their strategies and tactics, looks at the imagery and icons they created and interviews the powerful, flamboyant personalities who crafted and executed these seminal projects. This audiobook examines Thatcherism, New Labour, Britain's royal family, the Rolling Stones, David Beckham, the London 2012 Olympics, Product (RED), Obama for America and Dove's Campaign for Real Beauty. In addition, Campaigns that Shook the World contains exclusive interviews with campaign gurus such as Alastair Campbell, Matthew Freud, Simon Fuller and Lord Tim Bell. Rogers investigates the relationship between communication techniques, the media and evolving public opinion, using real-world examples. This audiobook features campaigns by Saatchi & Saatchi, Edelman, Bell Pottinger, Ogilvy, Freuds and other well-known marketing consultancies.